Want this item tomorrow, Friday 26th April? Order within the next 7 hrs 16 mins and choose Next Day Delivery during checkout. 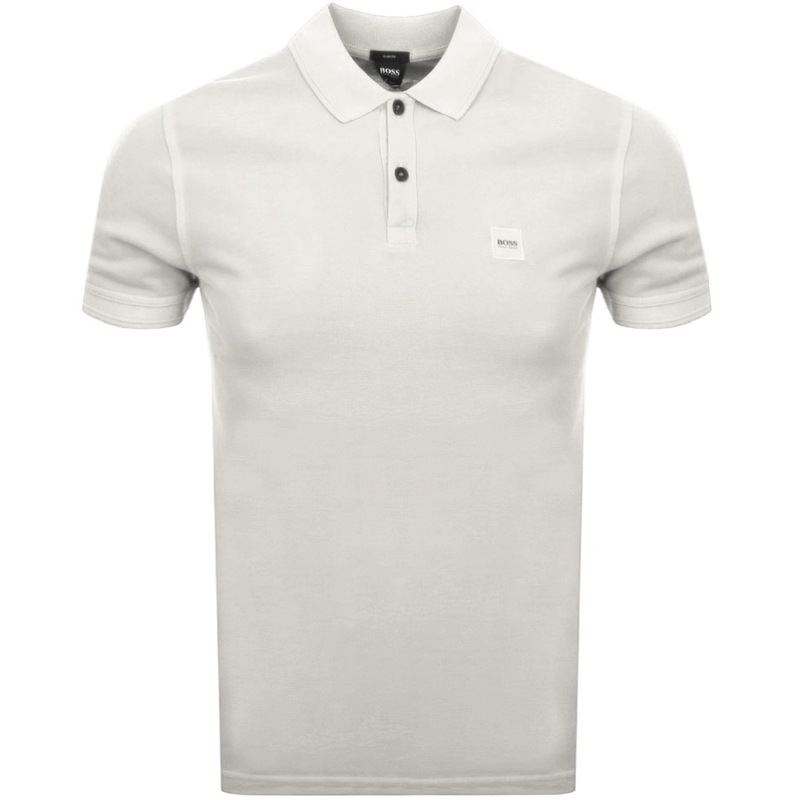 BOSS Casual Prime Polo T Shirt In Light Beige, Slim Fit. A two HUGO BOSS logo button fastening at the neck with a ribbed polo collar and ribbed cuffs on the short sleeves. A woven and embroidered BOSS Casual logo patch is situated on the left of the chest in black and light beige. 100% Cotton. Brand New Collections Of BOSS Orange T Shirts And Polos Live Online.